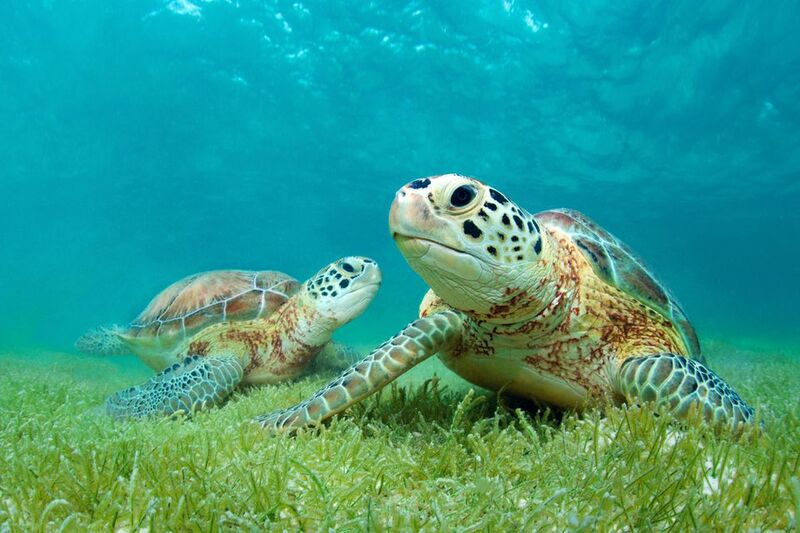 Sea turtles are among the most magnificent residents of the Caribbean, but they’re also among the most endangered. Overfishing, pollution, and degradation of nesting areas have made life more difficult on the region’s green, loggerhead, leatherback, and hawksbill sea turtles. On the bright side, there are a number of major initiatives underway designed to preserve and protect the sea turtles, and many a Caribbean resort now includes sea turtle oriented activities and education among its guest offerings -- particularly in the summer and fall, which is sea turtle nesting season in the Caribbean. Even some of the most bustling beaches in Aruba have nesting sea turtle populations; fortunately, the island also is home to one of the most environmentally conscious hotels in the Caribbean, the Bucuti & Tara Beach Resorts. The resort supports the local sea turtle foundation, Turtugaruba, and runs two educational seminars each year on sea turtle conservation -- one on Earth Day, the other on the first day of turtle nesting season.